Mini Grill, situated in the heart of Glasgow is about shared experience – from the restaurant’s comfort and conviviality to its fantastic hot food served everyday. 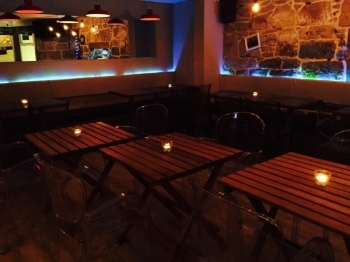 Beneath street level on Glasgow’s lively Bath Street, Mini Grill is a cosy eatery serving a range of homemade dishes from around the globe. Close to Charing Cross and along from the Kings Theatre, our venue is in a prime location for a quick bite to eat at lunch or an informal meal before a show. At Mini Grill, we are very proud of our Trip Advisor rating. The quality of our food and service reflects this. Check out our current Trip Advisor standing above.